Make this your new home or winter retreat! Well maintained 2 bedroom, 2 bath villa-style condo in popular Heritage Village West - a 55+ community. Ground level with no steps or elevators to deal with and only a few steps to 2 assigned parkeing spaces. Nice size rooms, large eat-in kitchen, inside utility room has extra storage space and washer/dryer. The very appealing lanai, surrounded by lush landscape, is a focal point. 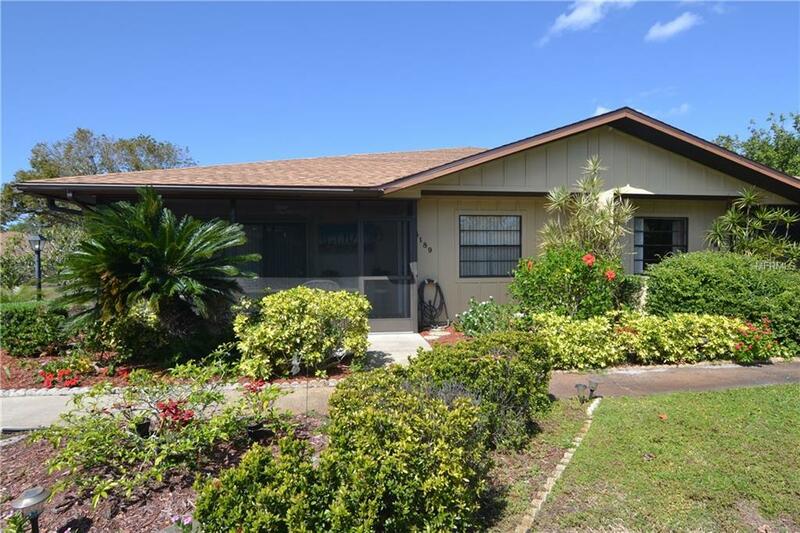 Super convenient location, just a few miles to Anna Maria Island. Good selection of shops and restaurants in the area. Low monthly fee covers large community pool, clubhouse, shuffleboard, lawn maintenance, cable, and more. Come enjoy the care-free Florida lifestyle!